Naftali Bennett and Ayelet Shaked proposed former chief army rabbi take high slot on 'New Right' list for Knesset. The former Chief Rabbi of the IDF, Brig.-Gen. (Res.) 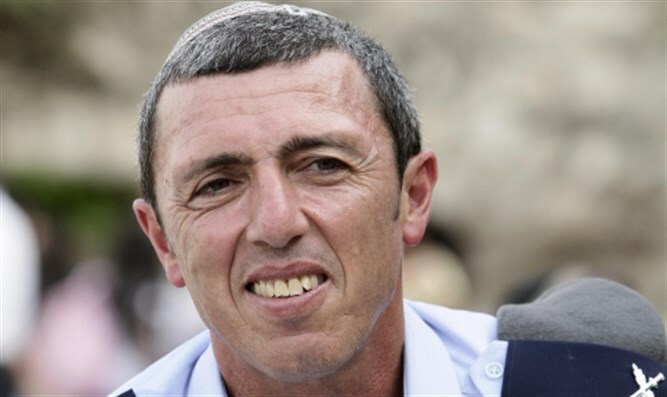 Rafi Peretz, is being sought for the ranks of Naftali Bennett and Ayelet Shaked's "New Right" party. They proposed Peretz be placed high on the Knesset list. At the same time, the Jewish Home conducted their own checks with Rabbi Peretz, in an attempt to determine whether he would accept the leadership of the party, according to Reshet Bet. Rabbi Rafi Peretz, 62, served as the chief military chaplain. Previously, he served as head of the pre-military academy "Etzem" and was a helicopter pilot in the Israel Air Force. Upon retiring from the IDF he returned to head the pre-military academy. Peretz is married to Michal and they have 12 children. They live in the community of Naveh in the Shalom region of the northern Negev. As a teenager, Peretz attended the "Netiv Meir" yeshiva of Bnei Akiva, where he was in the same class as three generals in the IDF - Elazar Stern, Yair Naveh and Yishai Bar.